*This post is sponsored by HomeAway. As always, opinions are 100% our own. Planning a family vacation can be enjoyable, but it can be overwhelming too. Usually one person does all the work and everyone else shows up when it’s time to leave. Have you ever thought about giving kids a say in the process? 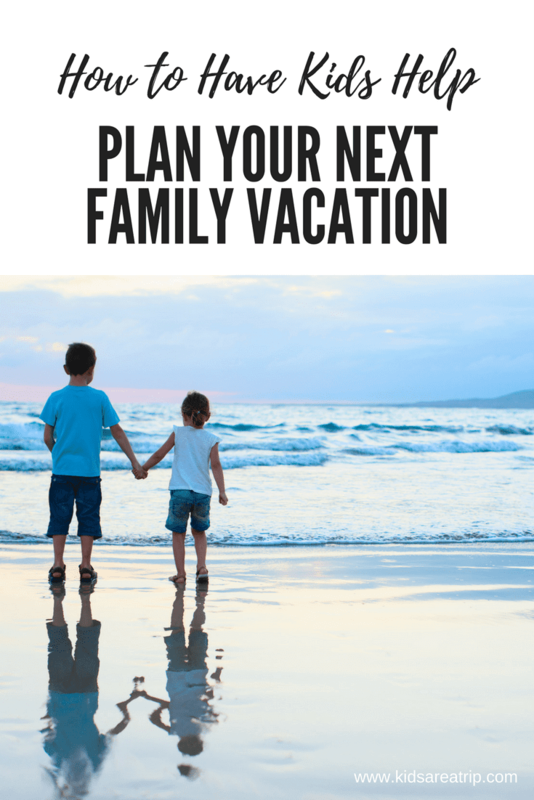 If you haven’t here are 7 ways to involve kids in vacation planning, and distribute some of the work load. 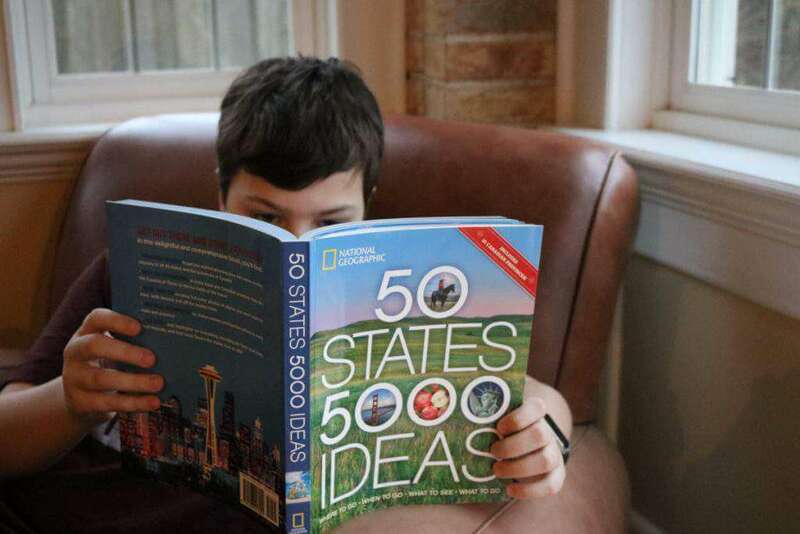 HomeAway® and FamilyFun magazine recently teamed up and found that when it comes to trip planning, kids really are a powerful force. 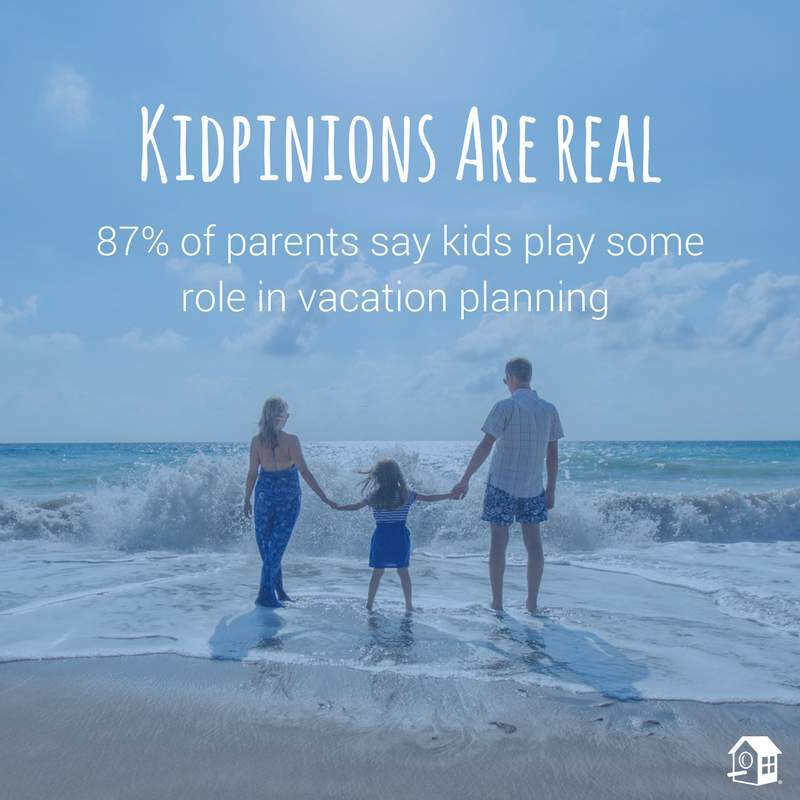 In the 2017 Kidpinion Travel Survey they administered, 87% of parents surveyed in the US said their kids play a role in vacation planning. 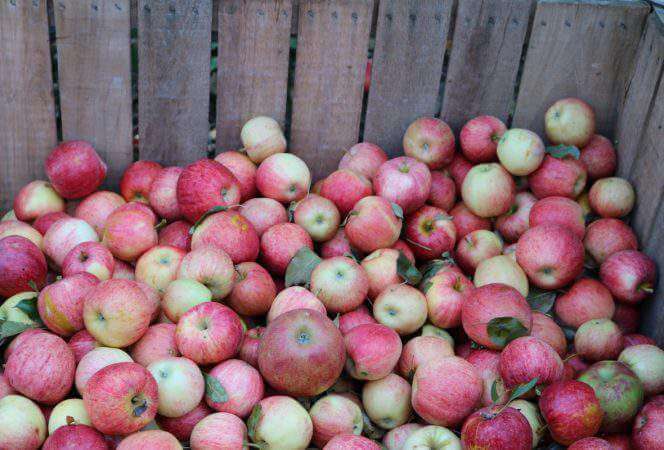 Thirteen percent said their kids actually make the final decision. Would you say you’re part of those numbers? If not, here’s how to get those kids involved. One of the best ways to have children get excited about travel is through reading. Head to the local library and check out picture books, fiction, non-fiction, whatever. Books inspire kids and they start creating their own adventures. Have a particular destination in mind? Check out non-fiction books in the juvenile section and read through them with your child. This serves as research for the parents and inspiration for both of you. Once you have a destination in mind, start looking at ideas on the internet. Google the name of the destination, check with the tourism board, head to Pinterest, read blogs, information is everywhere. Children can read the websites and make notes accordingly. This will help form a plan for the vacation. It never fails in our household, if there is a friend who has traveled somewhere, that’s the next destination my kids want to visit. They can learn about the destination from classroom conversations, Snapchat, you name it. Once they hear about it, they want to know more. If you know someone who has been to that destination, have the kids start asking them questions. What did they like about the destination? What did they do there? How long did they stay? Where did they stay? The list is endless. Younger kids might be satisfied to tag along with mom and dad where they’re told, but older kids usually have an opinion. Do they want to go to the beach? Would they prefer swimming in a pool all day? Maybe they want to zip line? Once the discussion has happened, lay out an itinerary that includes some of their favorite activities. 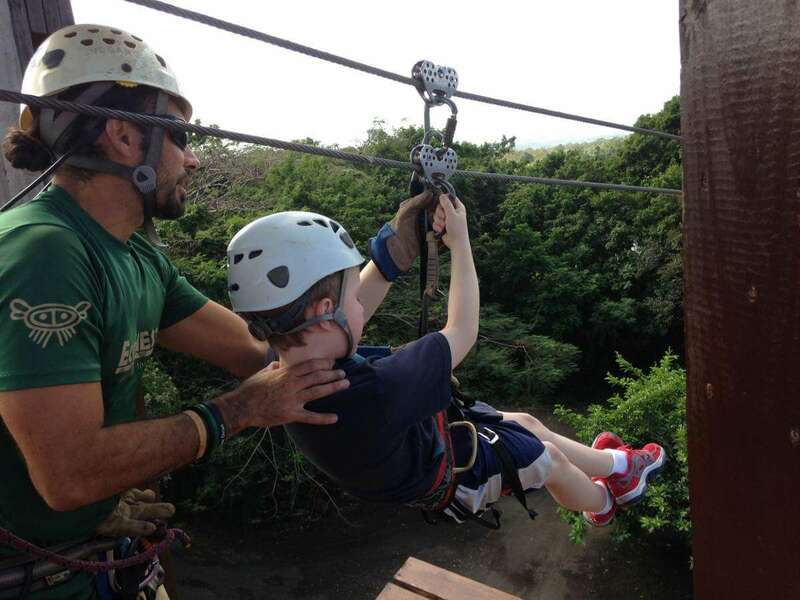 Once our kids discovered zip lining, it’s almost a requirement for every trip. This summer we are headed to Prince Edward Island for vacation and I wanted to have my kids help with our accommodation. We were looking at houses on HomeAway and I narrowed the list down to several choices. One was in the city, one was in a rural village, and the other was on a private beach. Take a guess which one the kids chose: the beach. We can’t wait to explore the area and the home they selected. Our kids wanted to stay here because it had a private pond for swimming. We agreed! Sometimes kids like to hear stories about their parents when they were younger. 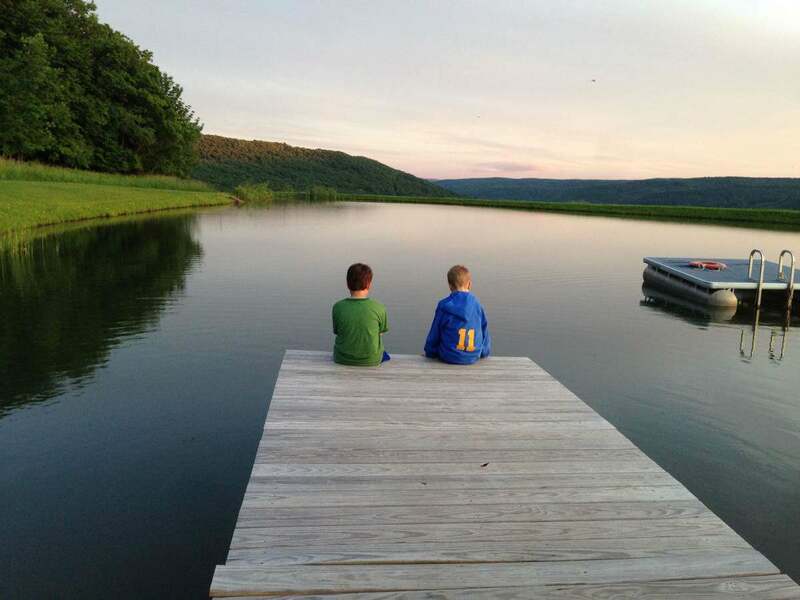 Sit down one night at dinner and brainstorm vacation ideas with your kids. Share stories about your favorite vacations when your were a kid. Where did you go? 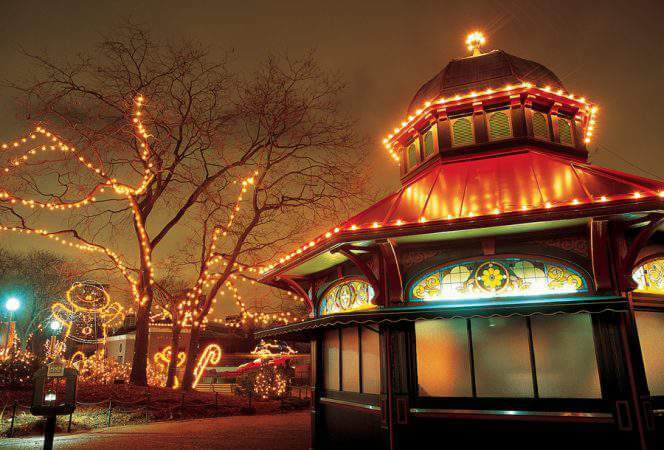 What was your favorite family vacation as a child? If you could do any vacation again what would it be? 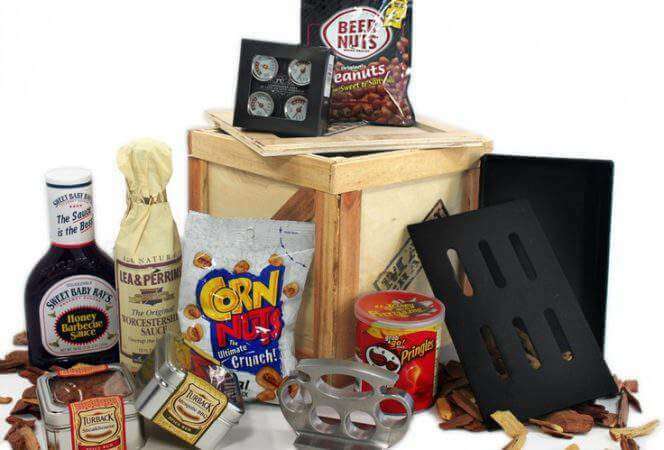 This might spark some ideas for new vacations or maybe parents want to make that journey again with kids in tow. Children find constant inspiration in movies. They might learn about a destination through watching a film or documentary on tv. Either one can plant a seed about a place they want to explore in the world. If you have a destination in mind, head to the library and check out non-fiction films or even fictional films that take place in a destination. These will start kids thinking about your next vacation in a heartbeat. How do you involve your kids in planning your vacations?